As an online casino, Energy Casino has to be on par with its competition. It has easily accomplished this with its promotions and bonuses which are also available on its mobile version. Promotions include a 100% up to $250 match up welcome bonus, a reload bonus and ongoing daily bonuses. The choice of games available range from a large selection of slots including progressives, plus table and poker games which include bingo. In the live casino section of Energy Casino, there are several different versions of roulette, poker and blackjack, all of which can be enjoyed in the mobile version as well. The operators of Energy Casino have selected some of the best casino game software providers to provide the best casino gaming experience for their clients. These include Edict, Bally Wulff, UC8, GreenTube (Novomatic,) Merkur, NetEnt, BF Games, Wazdan, and Quickfire. Each of these software providers has focused on great themes with sharp graphics and catchy soundtracks. Another aspect which makes playing at the Energy Casino enjoyable is the many options available for depositing. These consist of Visa, Mastercard, Skrill, Neteller, Paysafecard, Moneta.ru, EUteller, Trustly, iDeal, Sofort, Giropay, Zimpler, Rapid Transfer, Paymenticon and Multibanco. With this much choice, most players will not have any difficulty in making their deposits to bankroll their gameplay. Players will be able to have their withdrawals processed through the same method which they used for their deposit. If that particular method does not accept withdrawals, then an alternate method will have to be chosen. Some of the standard payment platforms that allow withdrawals are Neteller, Moneta.ru, Skrill or bank transfer. With Energy Casino being able to provide services to a variety of countries, they have attempted to make the casino available in as many languages as possible. These include English, Russian, Hungarian, Norwegian, Finnish, German, Turkish and Vietnamese. Players can simply convert the Energy Casino site to their language of choice using the dropdown menu. 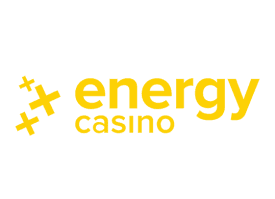 Energy Casino has a base currency of euros, but players can also use Czech Republic korunas, US dollars, British pounds sterling, Russian rubles, Hungarian forints, Norwegian kroner, or Polish zlotys. Players should have no difficulty finding a currency which works for them. They just need to choose their currency of choice when depositing. A lot of casino players love to enjoy the Energy Casino games on their mobile devices, which they can easily do with the casino's mobile version. Players can also enjoy the casino in the instant play mode. Players using either the mobile or instant play version can also access the live casino section. Players who want to contact the support team for Energy Casino will have a variety of ways to do so. The site provides several phone numbers for clients to contact them. Support can also be reached through email. Another option is to use the live chat. Many answers can be found in the casino's FAQ section.